A happy customer is the underlying goal of a business transaction—you were successful in delivering your product or service and your customer views the experience in a positive light. But to continue success, your customer must also be loyal, coming back to your company time and time again. How do you cultivate loyal customer relationships? 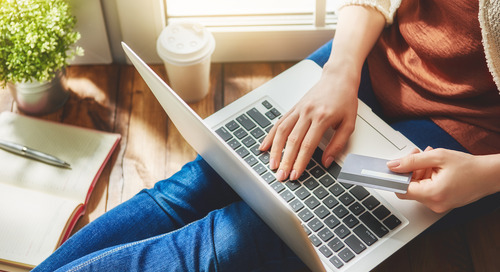 For some companies, a loyalty program is the solution, rewarding repeat customers and promoting a strong connection to your brand. Here are five simple tips for improving your loyalty program. Offer rewards that matter. Understanding your customers’ demographics, lifestyles and preferences are key to a successful program. Once defined, target rewards that will resonate. Give members options. Variety is the spice of life; this old adage is applicable to loyalty programs, too. Offer customers multiple reward options to select from to attract them to your program and keep them interested. Keep members engaged. Boost customers’ feelings of reward and engagement by offering featured items and promotions (like putting an item “on sale”). Do it often to increase the perceived value of your program. Timing is everything. The world moves at a rapid pace and so should your rewards. Delivery of rewards should be timely, and reward options should keep up with current trends. Give members a voice. Empower your customers and ask them what’s important through Voice of Customer Surveys. Limit the survey to no more than five questions to increase participation. By incorporating these five tips into your loyalty program, you will not only have a happy customer, but a loyal one. Your brand becomes part of their routine and your rewards become something they work towards. Loyalty programs can't reply on the old, functional loyalty model alone. Emotional loyalty is an important element to developing the best loyalty program.